Communicate with your entire team. In an industrial facility, visual communication is key. It’s absolutely vital to inform your workers of all the hazards, rules, and restrictions of your workspace. While much can be communicated through symbols and pictograms, some messages need be conveyed textually. Foreign language labels ensure that the whole team is properly informed. Safety is the 6th S in Lean; make sure you’re doing everything in your power to keep workers safe, efficient, and informed. In addition to having foreign language labels, we’re happy to offer a number of our most popular guides in other languages. Take advantage of these resources and make sure your facility is visual, productive, and safe. 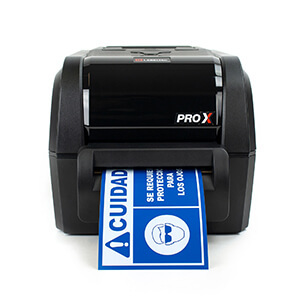 Thanks to the innovative advances in LabelSuite™ labeling software program, which comes free with every LabelTac® printer, creating foreign language labels have never been easier. The software comes loaded with templates and symbol libraries that make label design quick and hassle-free, and with the easy .CSV import, you can create your labels fast and get back to work. Work smarter. Let LabelTac® help. Make sure your labels stay compliant with this Spanish-language guide to the Globally Harmonized System of Classification and Labeling of chemicals. Our Spanish-language, Arc Flash guide is full of important and pertinent information such as clear labeling guidelines, NFPA 70E standards and minimal label requirements. OSHA inspections occur unannounced, but that doesn't mean you have to be unprepared. Make sure your facility is ready for an OSHA inspection with this helpful, Spanish-language checklist.